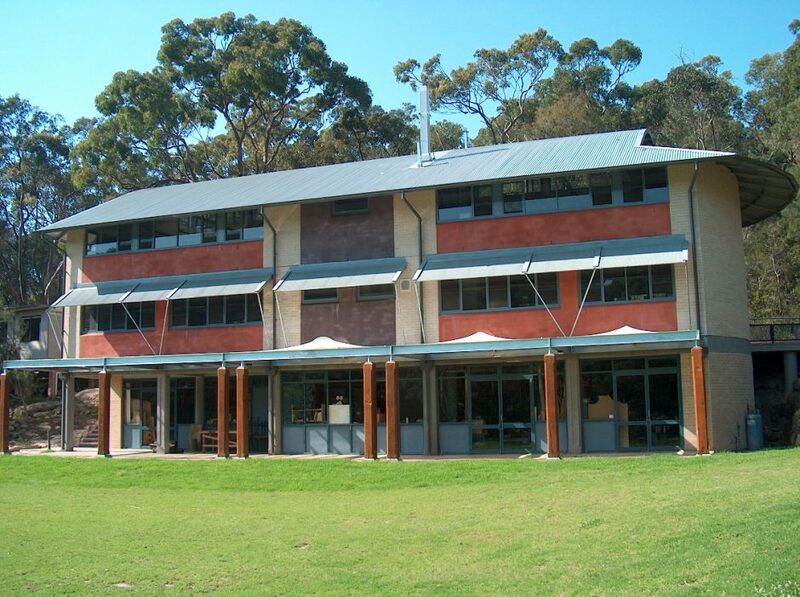 David has a long history with Glenaeon school, the first Steiner school in Australia. His mother was a founding teacher, father designed early buildings and he was one of the first students. 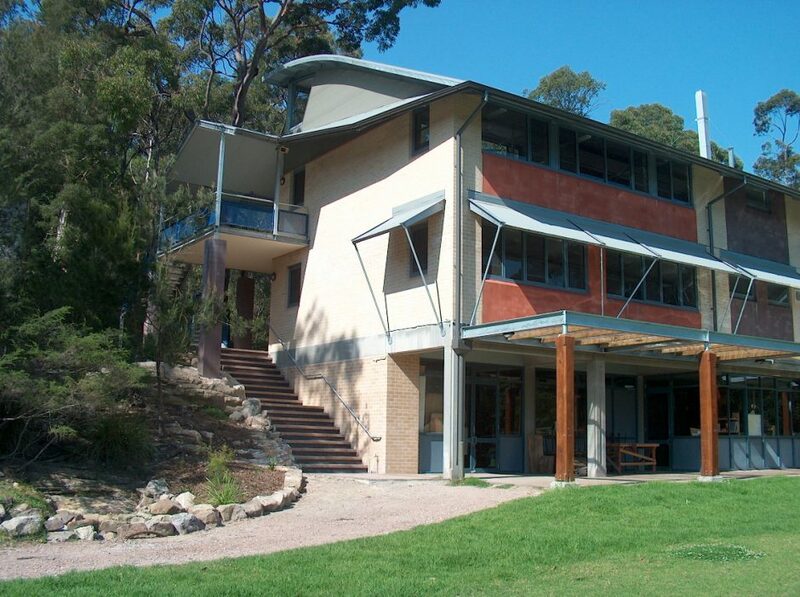 The magnificent bushland site in Castle Cove is close to the Castlecrag community established by Walter Burley Griffin and whose business partner Erich Nichols helped establish the school. Over time it has been hemmed in by residential development and it became necessary to prepare a Master plan and obtain development approval to secure its future development and allow for double streaming of classes. BJA worked closely with the school, the local community and council to acheive this in 1996. Subsequently they have been responsible for the renovation of and development of new buildings including the early primary buildings at the entry; new 2 level high school classrooms with a roof deck as an addition to the Lute Drummond building; music practice rooms below the hall and a new 3 level woodwook, science and arts building that flanks the playing fields.The later building was scaled and detailed to reduce the impact of a 3 levels facing the oval and 2 levels adjoining the bush to the rear. A watercourse was sensitively diverted and landscaped to allow an 2nd oval to be built which is access by a hardwood structure bridge. 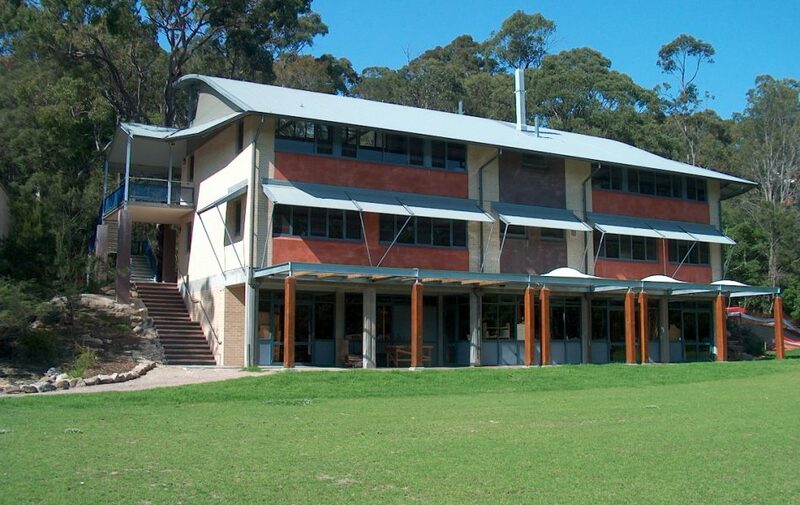 As a consequence of the masterplanning early childhood and class 1-3 was relocated to the Glenaeon Castlecrag Primary School site.